The poison dart frog is sometimes called the poison arrow frog. 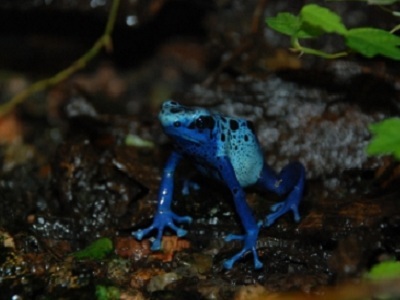 Some poison dart frogs have enough poison to kill 2,200 people. There are about 120 species in the same family as poison dart frogs. The Poison Dart Frogs bright colors are a warning to predators that it is toxic.